A statement piece for 2018, the cool greys and blues help this European Santa fulfil his mission of delivering a basket of toys and dolls to the good children of the house. 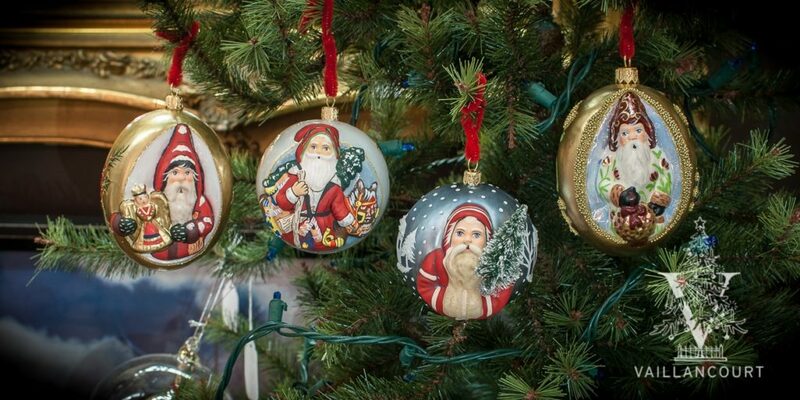 One of the large chalkware collectibles to make a statement for 2018, the Santa delivering a doll down the chimney is hand painted with a cool color palette to resemble the winter’s dawn. 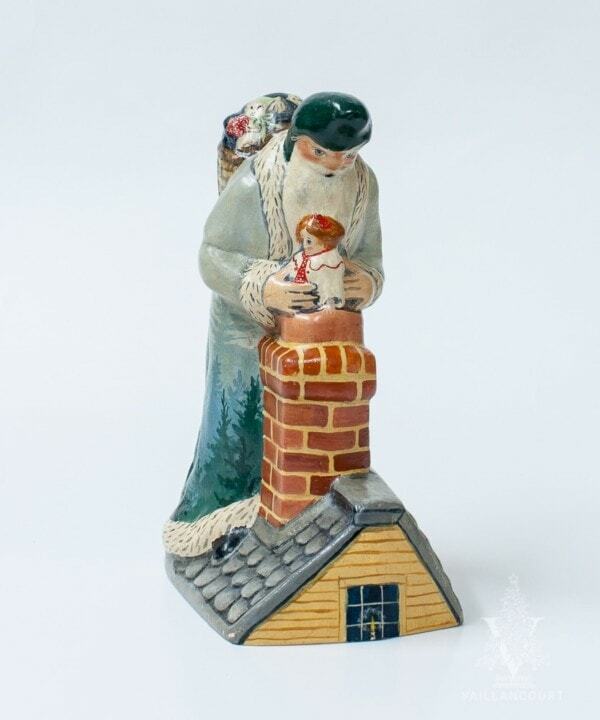 The European style Santa is seen standing over the chimney with a wicker basket on his back filled with toys and he’s holding a doll that is soon to be delivered to the child of the home.